Ours is a personal approach at Opus 111 Group. We’re always available for you to contact us, and we like to know our clients. We’re happy to meet for coffee, lunch, or simply sit down in our offices. Please give us a call. 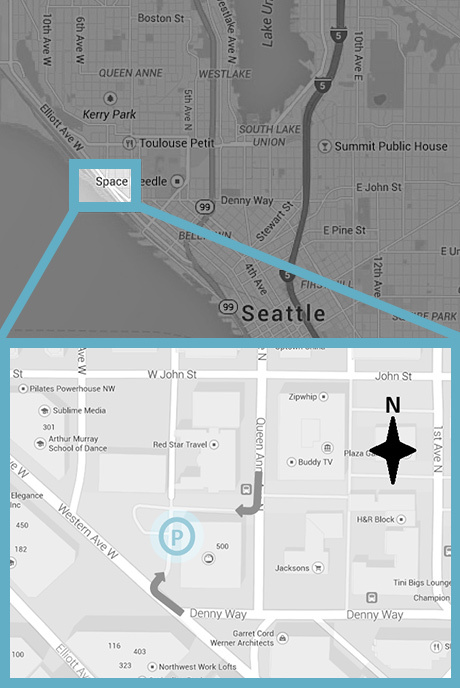 We are located on the corner of Denny Way and Queen Anne Avenue North on the 5th floor. Visitor parking is available and we are near many bus routes. We have visitor parking available in the garage on the west side of the building accessible by Queen Anne Ave and Denny/Western Ave westbound (blind corner right past building). There are 2 visitor spots available (clearly marked) otherwise the U-Park lot and street parking are widely available.